The drive up to Canada from where UND is located did not take long. We had to drive about one hour to get to the border and then another hour to get the biggest city. Going through border patrol sounds pretty frightening and that would be a safe assumption. It is a weird experience having border patrol asking you 20 million questions and determining if you can get into their country or not. It was a hard process, but we were able to make it through both border patrols. Once we got into Canada we were able to notice some differences from America. The speed limit signs were no longer in miles per her, but in kilometers per hour and there were no more mile makers but kilometer markers. We were surprised at how many American business and restaurants were still in Canada as well. The city that was nearest to us that we traveled to was Winnipeg. It was nice small town, which still had many entertaining things to do. 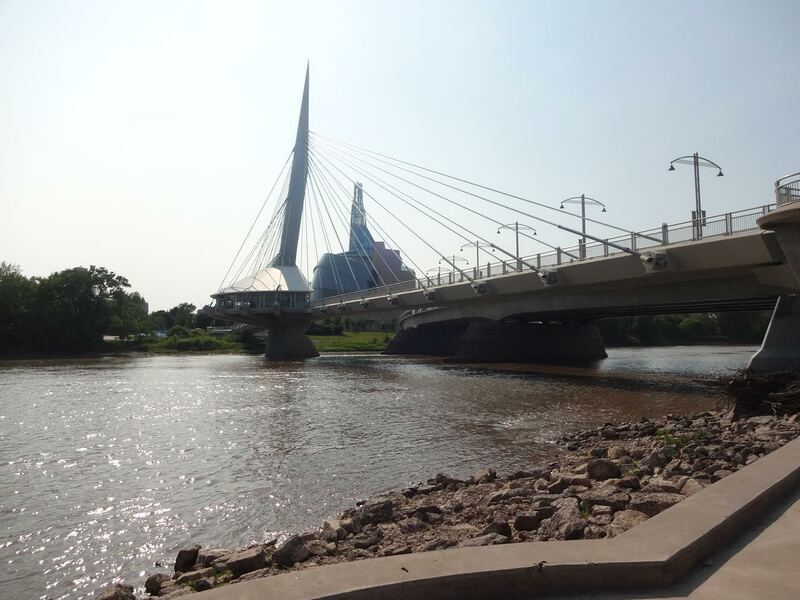 We spent most of our time in forks area exploring the market place and the Esplande Riel Bridge. When we crossed over to the bridge we got to see some amazing architecture. There were a couple universities and an amazing cathedral that we got see. In the marketplace, there were over 20 to 30 vendors who had different things for sale like pancakes, candy, wine, coffee, ice cream and other Canadian goodies. We stopped at a good Canadian barbeque place that introduced us into the tradition of dipping your fries into gravy. No stop in Canada would be complete without going by their hockey arena. The Winnipeg Jets arena was nice stadium that was kind of hidden down town. All in all going to Winnipeg was a great way to take a much needed break from training.